When it comes to passing on and protecting people's assets, our team at the probate law firm of Seaman & Seaman, A Law Corporation, recognizes the importance of estate planning. From our Gold River, California, office, we provide dedicated legal services to people throughout the Sacramento area, including Rancho Cordova, Folsom, Fair Oaks, Orangevale, Carmichael, Citrus Heights, El Dorado Hills, Granite Bay, Roseville, Rocklin, Loomis, Stockton, Cameron Park and Modesto. After the creator of a trust passes away, a number of challenges and complexities may present for successor trustees. Guiding them step-by-step through the process, our attorneys explain the duties and obligations of those charged with post-death trust administration. Drawing on our more than 40 years of combined legal experience, we work with our clients to ensure they meet all the legal requirements in the specified timeframes, and we aid them in notifying beneficiaries, resolving disputes, managing the distribution of property and handling other trust administration-related matters. 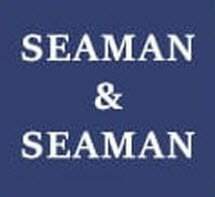 At Seaman & Seaman, A Law Corporation, we know the last thing anyone wants to do is burden the loved ones they leave behind. Our attorneys design a plan that ensures people's property and assets, including business holdings, transfer to their designated beneficiaries. We can show clients how they may use certain trusts to avoid the probate process, and we assist them in developing a succession plan to ensure their family business endures for generations to come. Our law firm works to create an estate plan that limits people's losses due to taxes and post-death administration expenses. We recognize that navigating the probate and post-death trust administration processes may feel overwhelming for people on their own. Our law firm strives to alleviate some of the emotional stress our clients are experiencing, and we work to make the grieving process slightly less difficult.